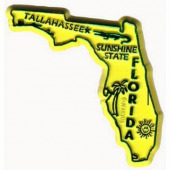 The state of Florida has an extensive number of associate’s degree in nursing (ADN) programs, over 150 at last count. The vast majority of these programs prepare students for initial licensure as a registered nurse (RN), including successfully passing the NCLEX-RN national examination. A handful of Florida’s associate’s degree programs have a different focus: providing broader exposure than a traditional certificate program to either the licensed practical nurse or nursing assistant role. ADN programs are relatively short, generally requiring two years of fulltime study. They often offer flexible class schedules or evening learning to accommodate students’ life and work schedules. Florida’s public state colleges provide an extensive network of ADN programs across the state’s major cities, including flagship campuses like Florida State College at Jacksonville and Miami Dade College. In addition, a growing number of private schools are launching ADN programs. Two high-performing examples are Galen College of Nursing in Tampa Bay and Herzing University in Winter Park. Graduates of an ADN program will join the ranks of Florida’s 160,000 registered nurses, who earn an attractive median annual salary of $60,420. The state’s major healthcare providers are constantly in the market for new nurses. Large networks like BayCare Health System, HCA East Florida Division, and Tenet Health have literally hundreds of open RN job postings at any given time. If you’re interesting in pursuing an ADN program in Florida, you may find the list below helpful. We’ve organized a comprehensive list of associate’s degree programs in each of the state’s major metropolitan areas.